Remel Fildes Enrichment is used with BHI Broth Base. 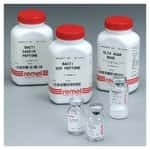 Used for addition to selective media for isolation of Vancomycin Resistant Enterococci and High Level Aminoglycoside Resistant Enterococci from clinical specimens. Oxoid Urea 40% SolutionA solution is used for addition to culture media. The Remel CN Selective Supplement (Cefsulodin, Novobiocin) is used with CIN Agar Base. Remel OADC Enrichment is used in Middlebrook Media. 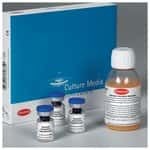 Oxoid Potassium Tellurite (3.5%) is a solution for addition to culture media. 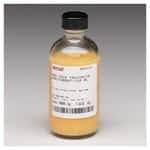 Remel Egg Yolk Suspension 50% is used with McClung-Toabe Agar Base. Used for the preparation of New York City Medium for the isolation of Neisseria gonorrhoeae. Remel ADC Enrichment is used in Middlebrook media. Remel GCHI Enrichment with Rehydrating Solution is used with GC Agar Base. Remel Vitamin K, Hemin Solution is used in anaerobic media. Oxoid TTC Solution (0.125%) is used for the enumeration and identification of coliform bacteria. Thermo Scientific™ Oxoid™ Sulphamandelate Supplement is used for the increased recovery of Salmonella spp. Oxoid Tomato Juice is extracted from ripe tomatoes. Remel Egg Yolk Tellurite 100% is used with Baird Parker Agar Base.